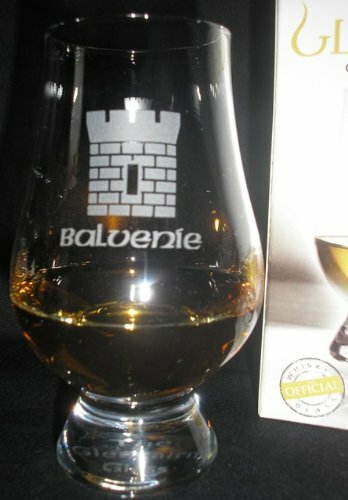 This NEW, MINT 4-1/2" tall GLENCAIRN tasting glass in the thistle shape design is QUALITY ETCHED with BALVENIE. Located in DUFFTOWN, this Highland Speyside distillery produces a truly globally recognizable single malt scotch whisky. In the style of the thistle, this GLENCAIRN blenders' malt glass has the qualities needed for capturing aromas. The design allows for more concentrated nosing. This nosing glass also comes attractively gift boxed. Also good for nosing and tasting your favorite American, Canadian and / or Irish whiskey. 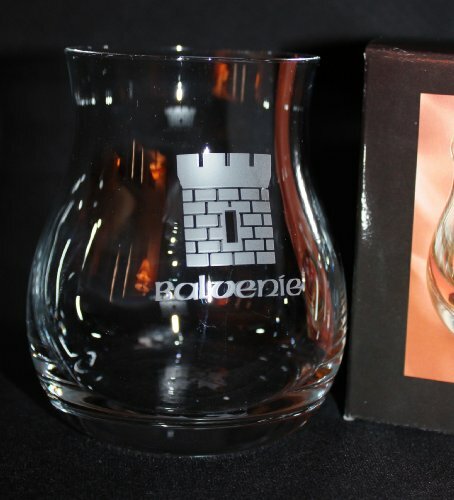 The official Canadian whisky glass presents the finest way to enjoy your whisky. This official glass was created by Glencairn Crystal Studio, based on close consultation with the Canadian whisky industry. The design delivers whisky to the tip of the tongue for the fullest taste experience. The slightly larger size is versatile whether serving whisky neat or in mixed drinks. 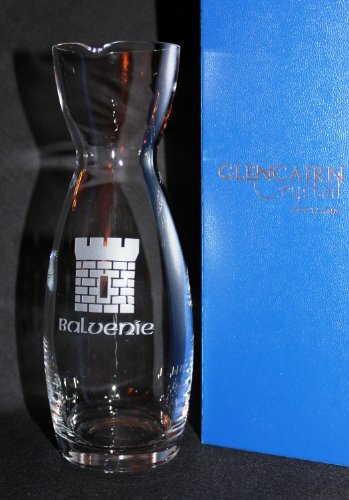 This NEW, MINT, QUALITY ETCHED 7 INCH TALL, 8-1/2 OUNCE GLENCAIRN LEAD FREE CRYSTAL WATER CARAFE is offered with the whisky enthusiast in mind and is the perfect size for holding your favorite spring water when conducting single malt Scotch whisky tastings or for having by your side when relaxing with a dram of Single Malt Scotch Whisky or with your favorite dram. Perfect for the addition of a bit of water to release the aromatic qualities of your favorite whisky. A complement to enhance any whisky glass ensemble. THIS CARAFE COMES IN AN ATTRACTIVE BLUE OR BLACK GIFT BOX ( DEPENDING ON AVAILABILITY OF COLORS ). PRODUCED BY THE GLENCAIRN CRYSTAL STUDIO, THIS WATER CARAFE IS ALSO GOOD FOR CONDUCTING YOUR FAVORITE AMERICAN, CANADIAN AND / OR IRISH WHISKEY TASTINGS. 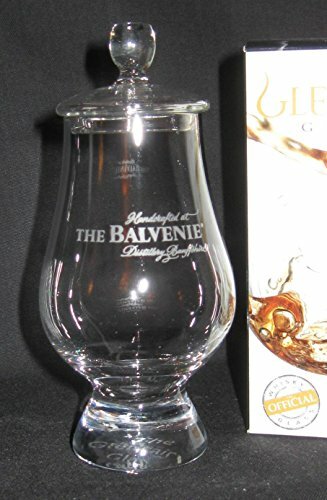 This NEW, MINT 4-1/2" tall GLENCAIRN tasting glass in the thistle shape design is QUALITY ETCHED with the "BALVENIE" LOGO and includes a GINGER JAR TOP. This distillery produces a truly globally recognizable single malt scotch whisky. In the shape of the tulip, this GLENCAIRN blenders' malt glass has the qualities needed for capturing aromas. The design allows for more concentrated nosing. This nosing glass also comes attractively gift boxed. Also good for nosing and tasting your favorite American, Canadian and / or Irish whiskey. 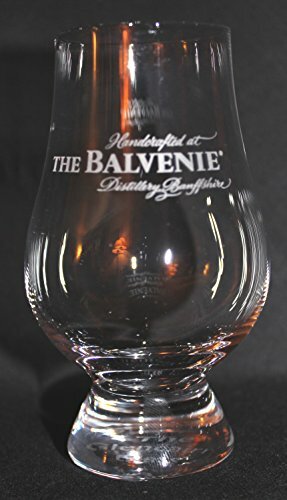 This NEW, MINT 4-1/2" tall GLENCAIRN tasting glass in the thistle shape design is QUALITY ETCHED with the "BALVENIE" LOGO. 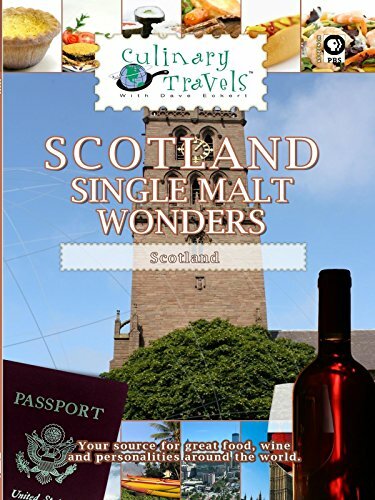 This distillery produces a truly globally recognizable single malt scotch whisky. In the shape of the tulip, this GLENCAIRN blenders' malt glass has the qualities needed for capturing aromas. The design allows for more concentrated nosing. This nosing glass also comes attractively gift boxed. Also good for nosing and tasting your favorite American, Canadian and / or Irish whiskey. Having survived the wintry desolation of the Chicago suburbs, J Edward retreats to Atlanta, where the summers are mercilessly hot and every evening invites new adventures. Alternatively calm and stormy, exuberant and lonely, this bounce between bottles digs into the life of an ordinary author living in a strange and unpredictable world. 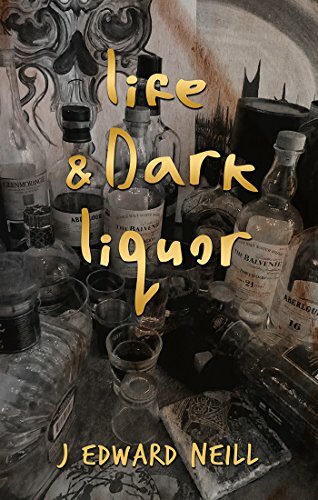 Life and Dark Liquor is both a memoir and philosophical piece, ranging through topics both small and grandiose: Single fatherhood. Holding on to friendships.Searching for creativity. And the hardest parts of being human. It's all here. And the best part...The author sips scotch, bourbon, and deep, dark whiskey with every chapter. No subject is taboo. No topic goes untouched. No cocktail is spared. Life and Dark Liquor is the 'sequel' to J Edward Neill's Reality is Best Served with Red Wine. Whisky Tasting LogbookDescriptionWhisky come from so many different Whisky distilleries, and is spelled with an 'e' if not Scottish (i.e. Whiskey). 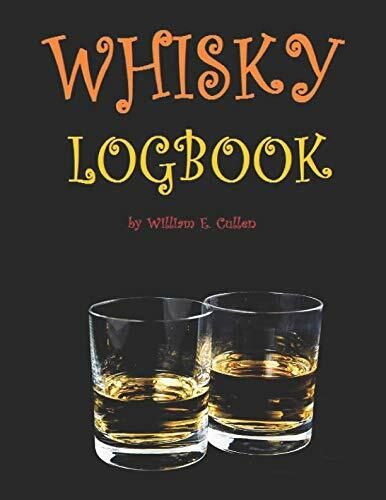 This logbook is for you to add in your thoughts whenever you drink Whisky. But why stop there? With some friends have Whisky tasting parties. Go and get about 2-3 bottles each with 4 friends and this book and start having parties. Remember to write down each Whisky’s notes in your logbooks. Your friends should have a logbook each. 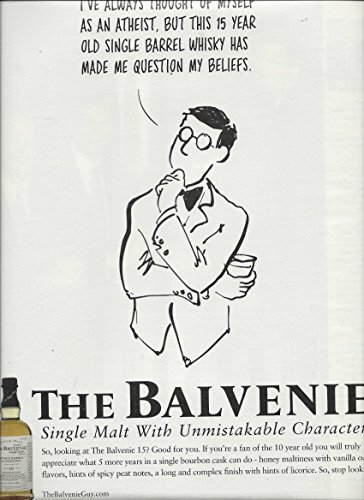 Now if your Whisky merchant doesn't have a bottle you want, pester him or her until they get it. It's your party after all. Try not to get too drunk as your comments will be indecipherable. Party on! 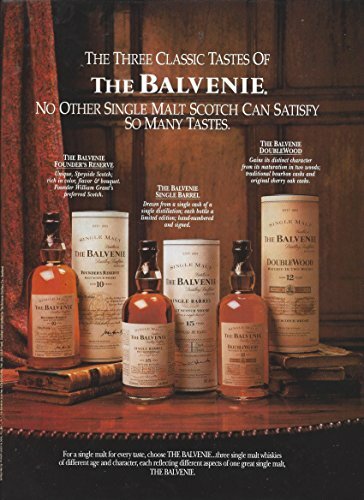 Compare prices on Balvenie Single at Elevelist.com – use promo codes and coupons for best offers and deals. We work hard to get you amazing deals and collect all avail hot offers online and represent it in one place for the customers. Now our visitors can leverage benefits of big brands and heavy discounts available for that day and for famous brands.